Meet Carlos Reales. 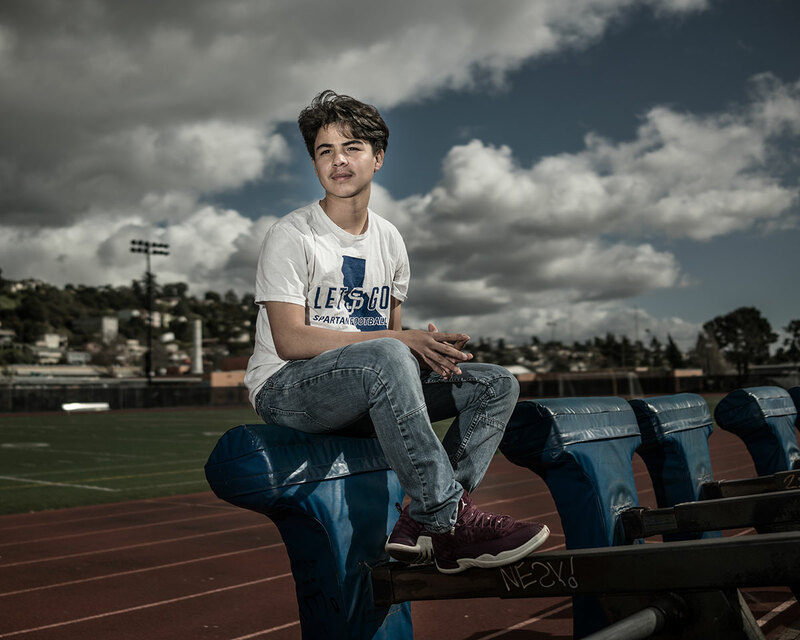 Carlos attends Castlemont High School in Oakland and is a student in Alameda Health System’s (AHS) HealthPATH program. HealthPATH is a workforce development initiative of AHS that prepares youth and young adults for healthcare careers. “I want to be a doctor. I got into health care to help my grandmother—she has type 2 diabetes. It makes me happy and it makes her happy, and I just love seeing her smile. MIMS helped bring it to life, watching and just experiencing how it feels to be a doctor at work. My grandmother used to take care of me when I was young, and now I take care of her. I’m the oldest in my family. My parents work, so I take care of my younger brother and sister, take them to school. I help with the cooking and cleaning. The MIMS internship taught me how to fix my brother’s cut and tell my grandmother good foods for her to eat. As a doctor, I want to give back to the community. I love sports and want to open my own sports medicine clinic, provide free physicals, and get other doctors to come and help too. To learn more about Carlos and other HealthPATH students visit the Oakland Youth Story Bank Website.